Good evening, dear readers! I hope your week has been off to a wonderful start! It seems odd saying that given that tomorrow is the MIDDLE of the work week already. Where is the time going?!? Summer is winding down quickly with school starting up, days cooling down, and the upcoming Labor Day holiday that many view as the final summer hurrah. Now is a great time to be thinking about all things fall (Hello, Pumpkin Spice EVERYTHING!) including fall shades for your nails. 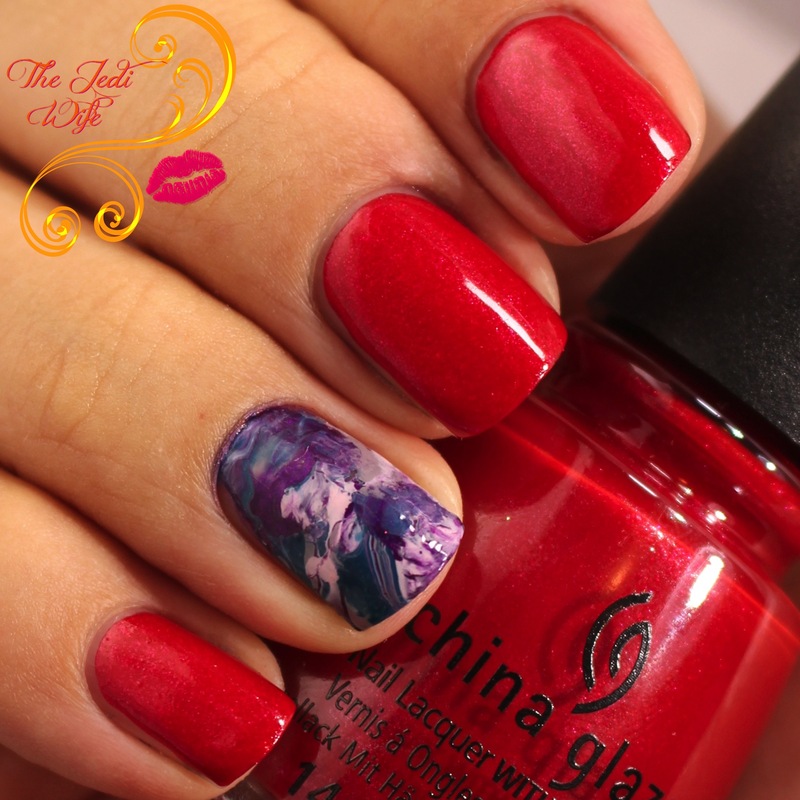 For today's blog post, I have the new Rebel Collection by China Glaze. This collection is all about the 90's Grunge scene juxtaposed with the softer, feminine side. This may be my favorite China Glaze collection yet, although I may be slightly biased as a former combat boots and fishnet stockings wearer back in the day. Let's check out the shades! I'm going to just jump right on in and start with Dope Taupe, the quintessential shade for the 90's grunge scene. 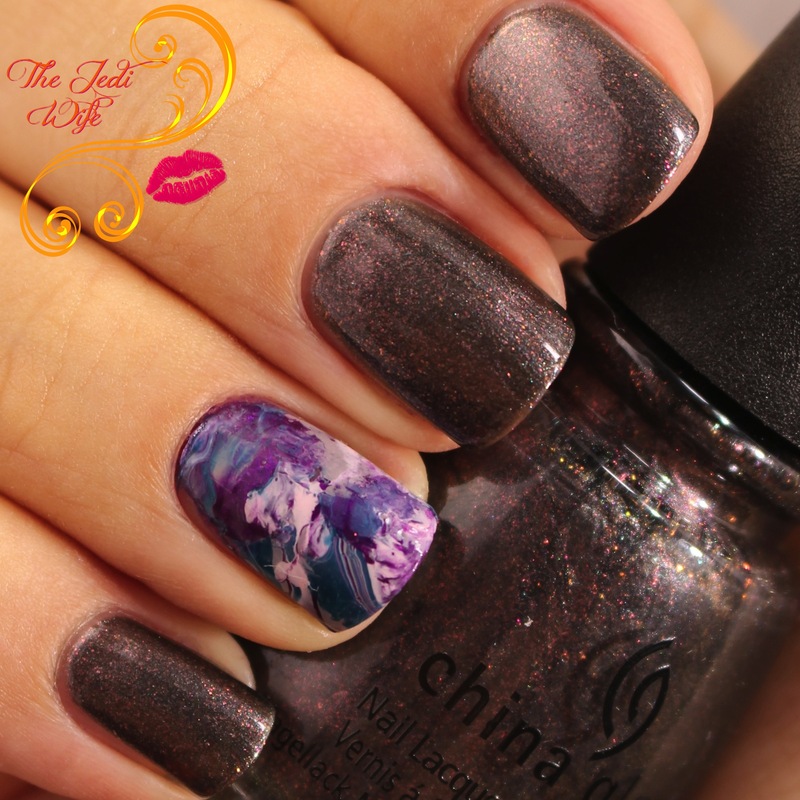 Deep and moody, this shade captures the moodiness of the scene perfectly! Application was fantastic and smooth! This polish really makes me miss my combat boots, although I wouldn't be caught dead wearing BLUE combat boots- that had to be black. That being said, this blue matte shade is fabulous and one of my favorites from the collection. Like other matte polishes, it does dry very quickly so you'll have to take care to not overwork the polish. Formula was on point and perfect! I just had to wear these two shades together when I saw them! I adore the combination of the matte blue with the sparkle, and it really captures the disparity of many of my 90's outfits meshing together the edgy with the pretty. I know, I know, I'm old. This glitter polish is fabulous though, and you can either use it as a dense glitter topper or achieve opacity in three to four coats if you chose to wear it on its own. I had no application issues with this shade. Pulp Fiction, anyone? It's a movie I sadly didn't quite appreciate as much as I should have when it first released, but I suppose that's not too surprising for a pre-teen. Thankfully I've come to my senses! As for Purple Fiction, this shade is pretty, and I'm surprisingly digging it even with the metallic finish. The formula was perfect and it applied easily with two smooth coats. Oh man, I remember when the super-pale, dark under eye circles and gaunt look was the "look" to have. An unfortunate side of the 90's was the glamorization and popularization of heroin and its rise amongst the middle and upper class. Heroine Chic captures this darker side of the 90's. I had no issues with application. Blue-Ya! is definitely one of the highlights of this collection for me. 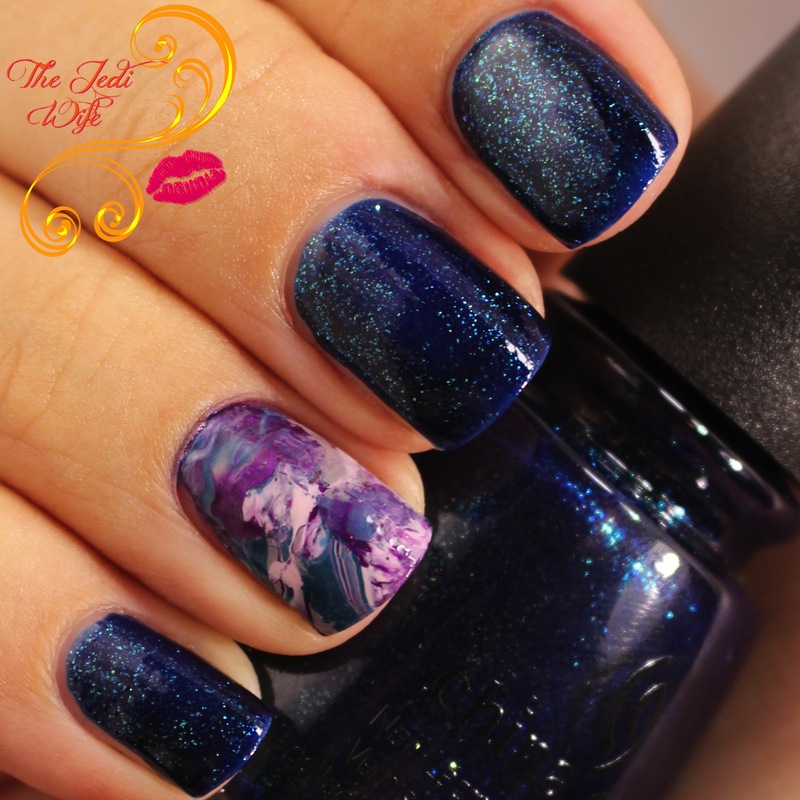 This polish makes me think of fall night skies and is gorgeous! The formula is fantastic as well, and it applied nicely for me. This teal shade is spectacular, so I'm choosing to ignore the name inspiration as I was never a fan of Alanis Morissete. 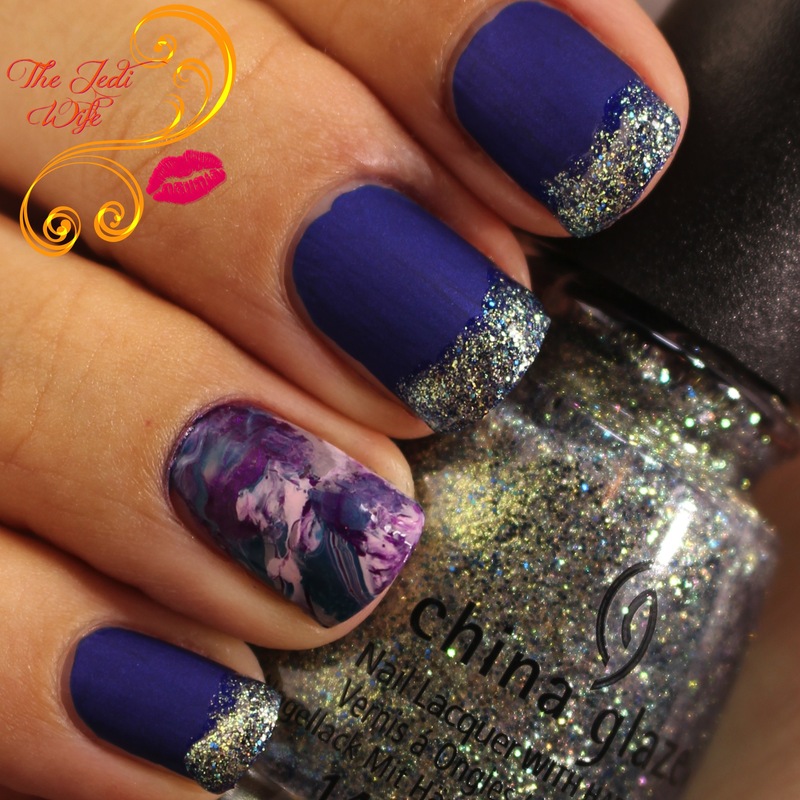 This applied really nicely for me, and I definitely am working on some nail art ideas incorporating this beauty! In west Philadelphia born and raised, on the playground is where I spent most of my days.... Oh yeah, I loved watching Fresh Prince! Fresh Prince-ss is a gorgeous shade AND name reminiscent of the ultra-feminine baby doll dresses back in the day. I had a little trouble with streaky application for the first two coats, but the third coat mostly leveled the polish out for me. I love a good red polish with a touch of sparkle, but this name has me sold. The shimmer is a little understated so if you like lots of sparkle, this probably isn't quite for you. The formula was easy to work with and I had no application issues. I can't decide if I'm more excited about the name or the colour of this polish! This photo does not do this polish justice as the opalescent effect is more apparent in real life. It is on the sheerer side so you will need to use either three or four coats depending on your nail length and how thick you apply it; alternately, you can layer it over a very pale grey, blue or white if you prefer to use fewer coats. I don't think this shade would lend itself well to layering over darker or brighter colours as it isn't exactly an "effect" type polish. Ah, the teenage years, when everyone is so moody and nobody understands them. I also listened to my fair share of Nirvana so this shade certainly was a flashback! The polish itself is really nice, and I love the look of the flecks as your nails shift in the light. The formula was on point and applied really easily for me. Don't Mesh With Me is such a pretty shade! I opted to use it on it's own with multiple coats, but you can layer this over a base shade if you prefer the look of a dense topper. I still have a hint of nail line with three coats, but it's more apparent with the bright lights of my swatch setup than it is in real life. This applied nicely for me and I have no issues to report. The China Glaze Rebel Collection is currently available from your favorite China Glaze suppliers: BeautySalonPlus.com, Ulta/Ulta.com, and Sally Beauty/SallyBeauty.com. My favorite shades are Blue-Ya and Pearl Jammin', but this is a fabulous collection in general! What shades are you liking from this collection? Do you love the references as much as I do? I'd love to hear from you! I adore Combat Blue-ts! So pretty! This collection really is fantastic though. I love it too! I'm sure it would be lovely with a glossy top coat too! I love this collection so much. And your accent nail is spot on! Definitely a great collection! And thank you! Gah! This is the best swatch of Pearl Jammin' I've seen! This is one of the most awesome fall collections out. So many finishes! It really is! I love that there is something for everyone! I love this collection, if only for the nostalia alone! I really love Pearl Jammin' and Blue-Ya! I think Blue-Ya and Pearl Jammin' are my favorites! 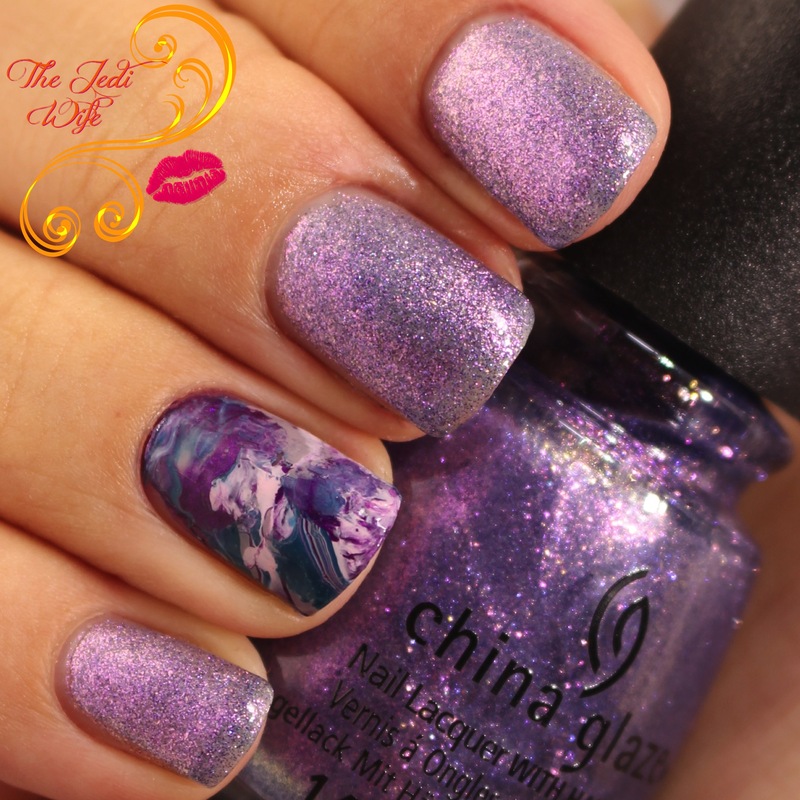 There are some polishes from this collection that I wouldn't mind getting! I really like your accent nail as well!